Stainless steel wire, incredibly strong, easily-worked, resistant to corrosion and cost-effective, is used across a wide range of industries from medical to construction. Choosing wire of the highest quality is essential - not only does its easy workability result in less down time and thus cost savings, quality stainless steel wire guarantees the safety and efficacy of the final product it is used to create. BS Stainless are specialist suppliers of a comprehensive range of stainless steel wire, some of which are detailed below. As with our entire product range, we offer bespoke options for any particular project - simply call a member of our experienced team to discuss your individual requirements. 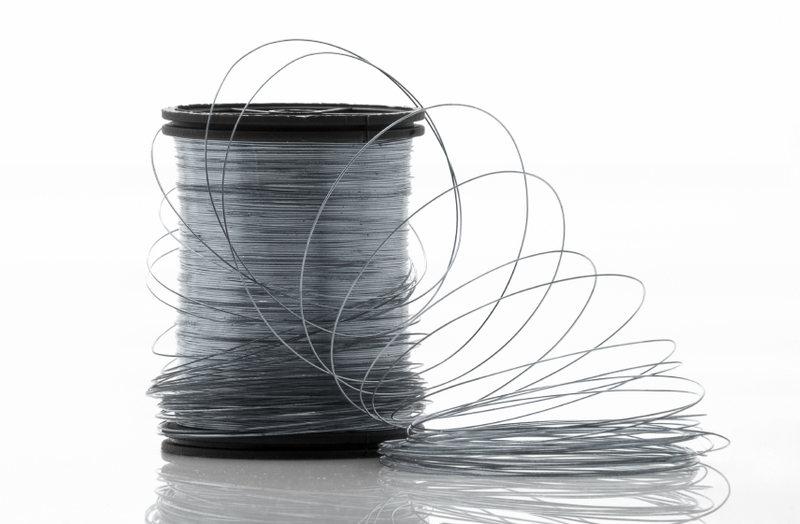 Supplied in a selection of popular grades including 304, 316 and 430, electro­pol­ishing quality wire from BS Stainless has been designed with an effective non-porous surface which easily meets all relevant industrial requirements. Its uniquely-exceptional formability and mirrored finish makes it ideal for applications such as racking, kitchen utensils, architectural requirements and luxury car grilles. Specially prepared in strict sequence to ensure consistency is maintained throughout, our electro­pol­ishing wire is unmatched in quality. The most popular grade of stainless steel wire for fastener and fixing manufacture. Offering high formability and good corrosion resistance with an excellent surface finish. Not only does good quality wire lead to high quality finished components it also contributes to less wear on tools and dies which in turn reduces change overs and failures. Other types of stainless steel wire supplied by our specialist company include tying wire (used mainly in the construction industry, shaped wire (in both standard and customer-specified shapes) and spring wire (available with a variety of coatings and finishes). Call BS Stainless for more information on our range of quality wires, including stainless steel welding wire, on +44 (0)1772 337555 or email info@bsstainless.co.uk.